A lot of folks know that fleas are a real nuisance to pets and even to the people who live in a house or apartment that is infested with fleas. But a lot of people are unaware that fleas can carry and spread sickness and life threatening diseases to both pets and people. Fleas crawl and bite, and these actions alone can make a person or pet, scratch at their skin a lot. 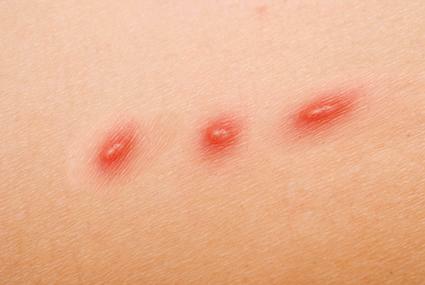 This scratching can easily lead to open wounds and sores and infection. This is just the simplest problem that fleas can cause pets and people, it gets a lot worse. Fleas often are like hitchhikers, in that they may live on one host or creature for awhile then, hop and travel until they find another. A flea that finds it’s way to your pet or you, may have fed on the blood of a raccoon, opossum or even a rat. Now if that flea bites you or a pet, it can spread the same disease the rat or other animal was carrying. Cat Scratch Fever – Fleas that are living on a neighbors cat that has cat scratch fever, can pick up the disease from the animals blood. Then they travel to your cat and feed on it’s blood, giving them the same disease. Later when your cat licks your mouth, or if it scratches or bites you, you may find youself with cat scratch fever. Fleas that live on the cat and are infected, leave their poop in the cats fur. When you pet your handle the cat, your fingers and hands become contaminated, then when you rub your eyes or pick your nose, etc, it’s possible to spread the disease to yourself. Typhus – Fleas that feed on rats that have Typhus, travel to pets and feed off them and humans. The poop from these infected fleas gets into the mouths and wounds of humans, from petting their pets, and getting bit by the fleas themselves, and having the flea poop get into open scratches and sores, infecting the person with typhus. Typhus can also be gotten by a human, who is even exploring or living in an area where there are lots of dead fleas, or even old cat feces. 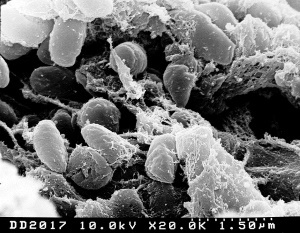 Bubonic Plague – When a flea feeds on an infected animal that has the plague, it can transfer this serious disease to humans when it bites. The fleas can also infect pets, and in turn these pets can transfer the plague to humans. Tapeworms – Another nasty disease or condition that fleas can give to humans and pets, is Tapeworms. Fleas act like the hosts of tapeworms, and infected fleas can pass these tapeworms to humans when they feed off their blood. The bites have to heal on their own, however a good home remedy is to get regular table salt, grind into powder and spread it everywhere you have an infestation in your home (with carpet). Let it sit for a couple of hours and the fleas will start to surface. Then vacuum them up! Make sure you dispose of them in a sealed garbage bag as they will still be alive. You may have to do this daily for about a week, but it worked for us! Fleas are disgusting, and even more so when you don’t own any pets, lime us. Good luck! Straight Listerine to get rid of them. No body knows as evidenced by the replies. Sadly it is a pain in the arm as I am sure you know by now. Dawn dish washing soap will kill them on your pet – just bathe them with luke warm water and the blue dawn dishwashing dish soap- then follow up with a flea medicine applied to the cat or dog. Be sure to get the Medicine specifically for your type of animal- cat or dog because treating a cat with a dog flea med will kill it and visa versa the dog. also wash and dry your pets bedding on hot water and high heat this will kill the flea eggs – spary with a pet friendly fleabreeze type spray . you will have to repeat this every week for about a month and you should see improvement in the flea problem .vacumning helps and salt sprinkled in the rugs keeps the moisture out so the flea eggs will desicate and die. you can also place a pan of soapy water wher your pets cant reach it under furniture and the fleas will hop in it and die. I was bitten by a flea moving a dead mole in the yard, killed by the dogs. Felt strange since, been to the dr’s twice, this last time he scheduled bloodwork to pinpoint the bacteria (if any). Fleas are horrible, always get checked if you are bitten! So many bacterial infections, it is rediculous. If you live in or around Missouri, God help you! I have personally considered burning them out of my home. Here’s what I’ve tried and it didn’t work. House professionally “bombed”, pets to the vet for treatment, we stayed out of house 2days. When we got home flea collars and drops. carpets steam cleaned. After dry carpets sprinkled with boric acid. All bedding washed and dried at high temp. All pillows and stuffed toys thrown out. Souls of shoes sprayed. Out side home treated. Did I mention the animals were shaved hairless at vet! Nothing worked. Moved animals to Oregon. Flea free in two days. Had house bombed again in and out. No one lived there for two weeks. Moved back. Fleas within an hour. Missouri is just a bad state for all known pest. Fleas, ticks, mosquitoes, and all diseases they carry. plague, Catscratch, typhoid, you name it. I think i got a flea in my eye what will happen? Your information has really helped. Thanks. What are the symptoms of these diseases? My husband is living with a flea problem and gets bitten every single day all over his body. Hes going on week 2 with chills, cold and hot flashes, fever, fatigue and sweating. Omg this is crazy I didn’t know fleas could be so dangerous. Keep the bites moisturized so that they don’t dry out and so itch a little less, apply a bite cream although, I didn’t find that helped much. Take anti-histamine to help reduce the itching; I was bitten so much that I had a bit of an infection and had a course of anti-histamine called Fexofenadine Hydorchloride; normal anti-histamine are about 5mg, whereas these ones are 180mg! Applying lemon juice can help reduce scarring although I am now using Bio-Oil. Get a really good flea killer spray and spray all your carpets and also furniture and curtains if need be; I bought Indorex from a Veterinary surgery as brands bought from veterinary surgeries tend to be the most potent. Remove plants and pets, including fish and anything living from the room. After spraying as directed, close the doors for however long it says on the canister. Vacuum the carpets afterwards, and then vacuum every day for seven days. The vibration from the vacuum disturbs any eggs waiting to hatch. It is important to get the eggs out of your carpets etc. as I have read that the only thing that will kill them is fire. If still having trouble, get in a Professional. Of course, treat your pet / the animal with good quality anti-flea drops. Altered slightely; Keep the bites moisturized so that they don’t dry out and so itch a little less, apply a bite cream although, I didn’t find that helped much. Take anti-histamine to help reduce the itching; I was bitten so much that I had a bit of an infection and anti-histamines called Fexofenadine Hydorchloride; normal anti-histamine are about 5mg, whereas these ones are 180mg! I also had a course of anti-biotics. I used spray, had my carpets cleaned and then put flea powder made for carpets in the dried carpet. WebMD said the best way to stop the itch is to use Benadryl cream or lotion. It worked really well. The internet also suggested that fleas do not like the smell of lemon or peppermint. I lathered on a lemon-scented soap and that stopped any stragglers from biting. Now all I am left with are the bite marks. I worked in a flea infested apt. The patient is paralyzed from his neck Dow and he has a dog that is infected with fleas till the whole house is infected as well. U can see the fleas on my white uniform like black dots.. A million black dots. The poor dog scratch till he bleeds. My whole skin are bitten with red marks all over my skin. What do I do? I tried flea traps (bowl of water with dawn in it under a night light) killed a lot of them but there still in my house which fogged will work the best? 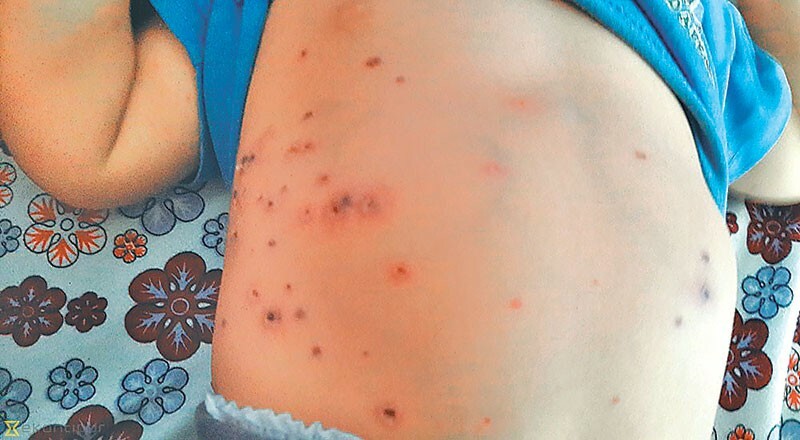 The black fleas are not biting my other family members but they bite me .My doctor gave me pills and cream but its not helping.. Had my house sprayed did not help.I need to go to the hopatal for help..
What about an anemia? Can a flea infestation cause anemia so bad that the dog is tired, walking sideways…?